One of the fundamental principles of successful adult education programs, is ensuring that there is an element of ‘self-directedness’ in the learning process. That is, that learners are given a sense of control and decision making over their own learning and development journey. 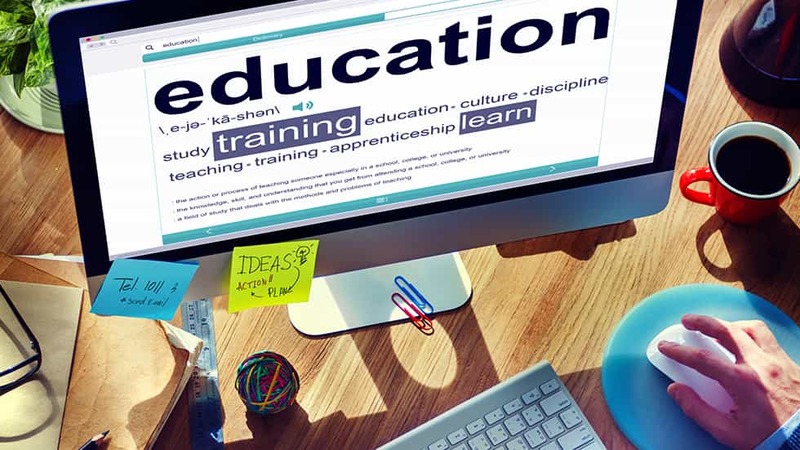 With the recent boom of online learning and technology now making it as easy as clicking a button to access any information and training that we desire; self-directed and ‘DIY’ education has become a huge part of lifelong learning and a growing preference for the modern day learner. However, highly effective self-directed learning programs need to offer more than simply “leaving them to it.” For adult learners to get the most out of our online training programs, we need to conduct some critical planning in the curriculum design and development stage. Does your course create independent practitioners in your topic? If the answer is yes, you are likely to already have a course foundation in place that fosters self-directedness. If not, it’s a simple upgrade of your online program, as luckily, this very principle of adult learning lends itself perfectly to online learning, which is extremely self-directed in nature. The learner usually discovers the course through their own search efforts, makes an independent choice to enrol, and then fits the learning into their schedule as it suits them. Incorporating the following 10 elements into your online courses is integral to ensuring that adults can feel empowered about their own educational journey from start to finish. Self-directed learning is active learning. Adult learners consciously select and engage with content that they find useful and have an immediate need for: if they don’t see that clearly, they will reject it. When this active problem-centered approach to learning is facilitated, it can significantly enhance the learning experience. Courses will be more interesting and desirable for learners if they understand clearly how it applies to their own needs---and this is directly related to your marketing strategy and sales success. Results, results, results! Adult learners are result-oriented. They want to know exactly what they will get out of the course during it, and perhaps more importantly, after completion. They need to know how it will change their life. To do this, you need to direct your market research towards the precise results your audience is looking for. Then you can use this research to enhance your sales copy and learning outcomes so that you can paint the perfect tangible picture of what their life will look like as they complete your course---and perhaps more importantly, well beyond that. Market research also optimises the amount of information our learners will retain. When they have decided for themselves that the training is of value, importance and relevance to their immediate needs, they can better encode, conceptualise, synthesise and remember what is being taught. Adult learners self-govern, living unto their own laws, beliefs and values. If adult learners feel that you are driven by different reasons or want different outcomes, they will be less likely to engage in your training. For example, some people are highly driven by financial outcomes, and therefore they will be the types of student who will engage in training that helps them achieve a certain financial result. Others are completely turned off by financial goals and would prefer a course that focusses on an affective or emotional result. When you know what your students stand for and you design your training to enable them to apply it in a way that meets their own values, you will be facilitating another element of self-directedness in your courses. The standard concept of teaching and learning is that an individual going to a teacher, or someone more experienced or knowledgeable than they are, then they need to be “instructed to.” Although this is what happens in literal terms, the (happy) adult learner usually considers themselves in charge of the situation. According to Knowles’ adult learning theory, THEY sought out the learning opportunity, THEY initiated it, and THEY are responsible for finishing it. To this end, course designers need to incorporate training elements that allow the instructor to take a step back and give students the reins where appropriate. Adult learners need to know and understand the exact benefits and purposes of the learning program. If adult learners cannot appreciate the purpose or the value of the course, then they will be reluctant to engage in your learning program out of choice. Adult learners like to diagnose their own learning needs and formulate their own goals. They then select and engage in the training programs that they feel are best going to meet those needs and goals. Therefore, having explicit, clear learning outcomes are critical for the adult learner to make decisions as to whether a given course is right for them. If they cannot see how the course is aligned to their own self-imposed objectives or how it will help them achieve those objectives, they won’t buy it. Adult learners like to feel as though their own learning journey is under their own terms. They want to be responsible for planning, initiating and even the conducting of the learning project itself. As course creators and instructors, we have to ensure our training courses have a self-enrollment function so that they can start whenever they want, log in whenever they want and pace themselves in a way that suits their schedule and lifestyle. This may not be an appropriate feature for more date-restricted synchronistic training, but having a flexible component should be considered. Since adult learners will only voluntarily enroll in courses that promise the solution to a problem, we can increase their self-directed experience by giving them solution-focussed challenges as part of the learning process. Student self-efficacy increases when they are given tasks that challenge them enough for success to taste sweet, but not so hard that they are stressed out about failing. Motivation increases when it is obvious that the result will help them achieve their goals, which is why they took the course in the first place. The great thing about non-accredited adult learning is that there is no requirement to enforce exams upon students to pass or fail. For adult learners engaging in self-directed non-accredited learning, success is measured in ways that allow them to clearly understand how far they have come from their own starting point and how close they are to reaching their personal goal. In the DIY adult education world, learners no longer sit on a scoreboard with a class of similarly aged and experienced peers; instead, they see themselves as being on an independent journey that should not be compared to the progress of fellow students. If your course can include a way that they can quantifiably measure their own starting point and reassess themselves throughout the learning journey, then they can clearly see how they are travelling along their own syllabus. I use a method called ipsative assessment for this, which entails assessing a person’s progress at the end of program, and comparing it to their own starting point at the beginning of the program. Being able to quantifiably show your learners that your program has helped them, increases their motivation and evaluation of the value of it. Ensure that the entire curriculum is clearly laid out so that they always know where they are on the map. Even if your course is drip-fed, they must know exactly what is coming next so that they can track how they are travelling. As a tip, success breeds success. Therefore, a bundle of shorter courses will drive more results and higher completion rates than one big course, as the constant tastes of ‘completion’ will remind them that they are succeeding. Some people prefer to write on paper with coloured pens and sticky notes. Some prefer digital work. Some like to watch videos, while others prefer PowerPoint slides that they can print and doodle on. Some like to listen to audio on the way to work, and others like to discuss their work in social media groups or face-to-face. Design your training to allow self-directed learners to choose their learning style. Offer flexible learning methodologies so that although the same principles, skills or knowledge are being taught to your learners, they can encode and practice in their own learning preferences or processing styles. For example, in my course How to Create Profitable Courses, I present learners with various methods for structuring courses so that all learners can pick the methodology that best suits their learning preferences and natural working styles, instead of being dictated by my own biased approach. Getting the self-directed balance right is a challenge. Too self-directed and your learners will feel unsupported and lost, causing an increase in drop-out and completion rates. Make it too controlled and dictatorial, and your adult learners will feel stifled. In my book, The Theory and Principles of Creating Effective Training Courses, I discuss the implementation of these principles in much more detail.